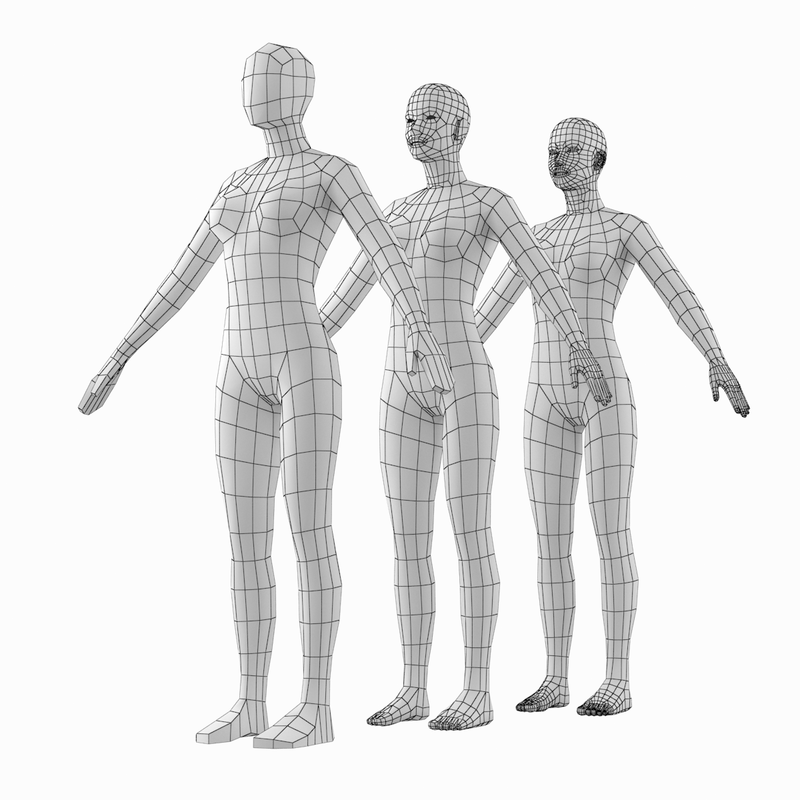 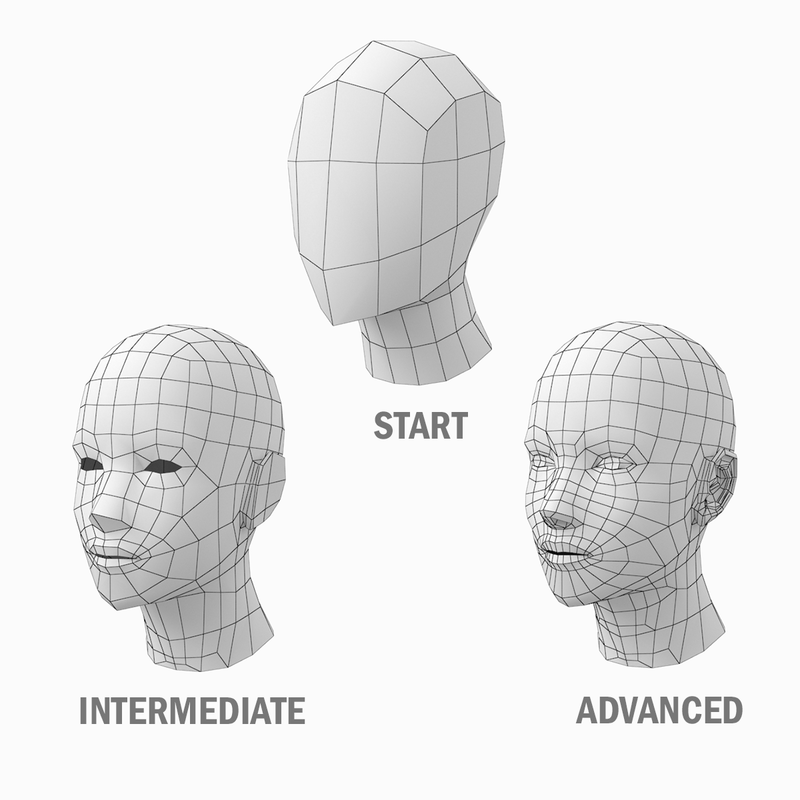 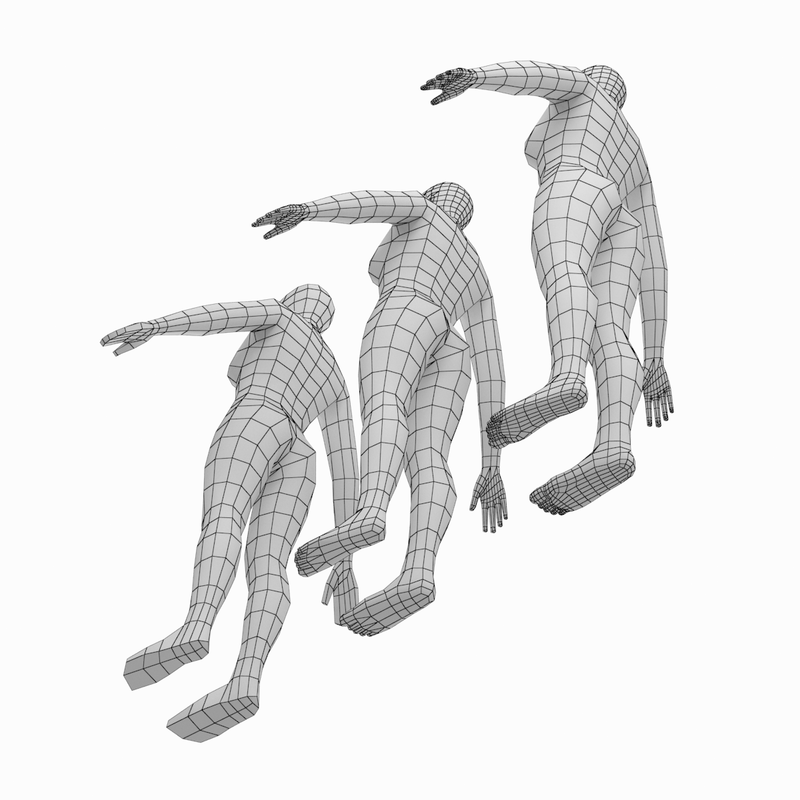 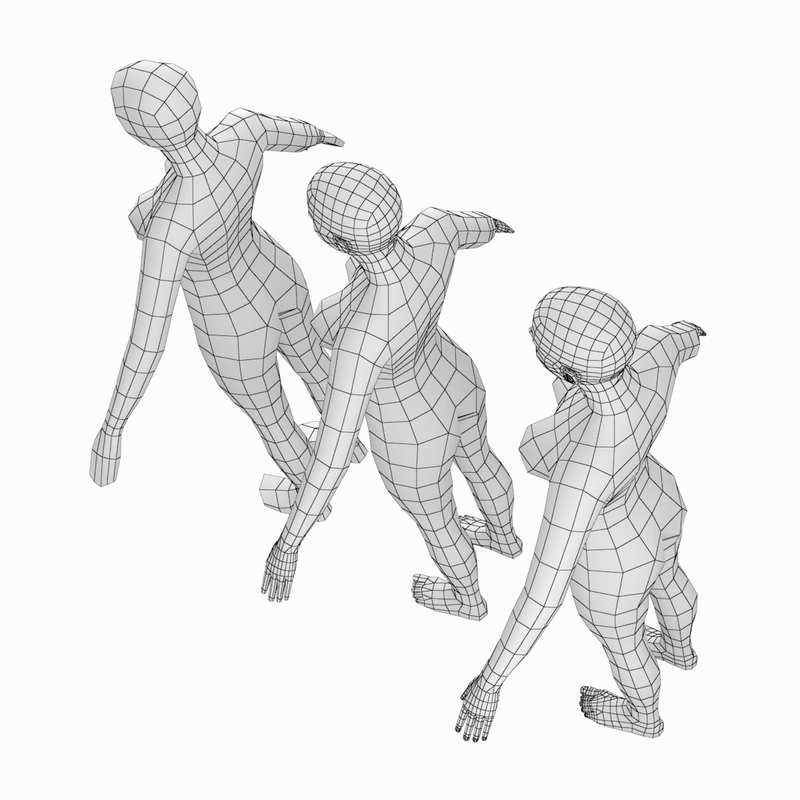 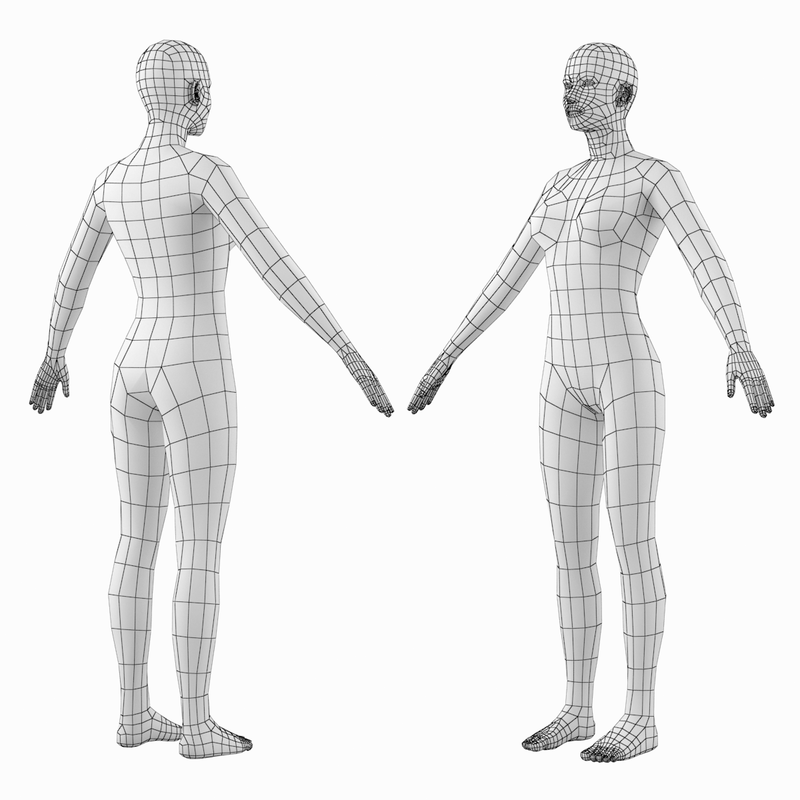 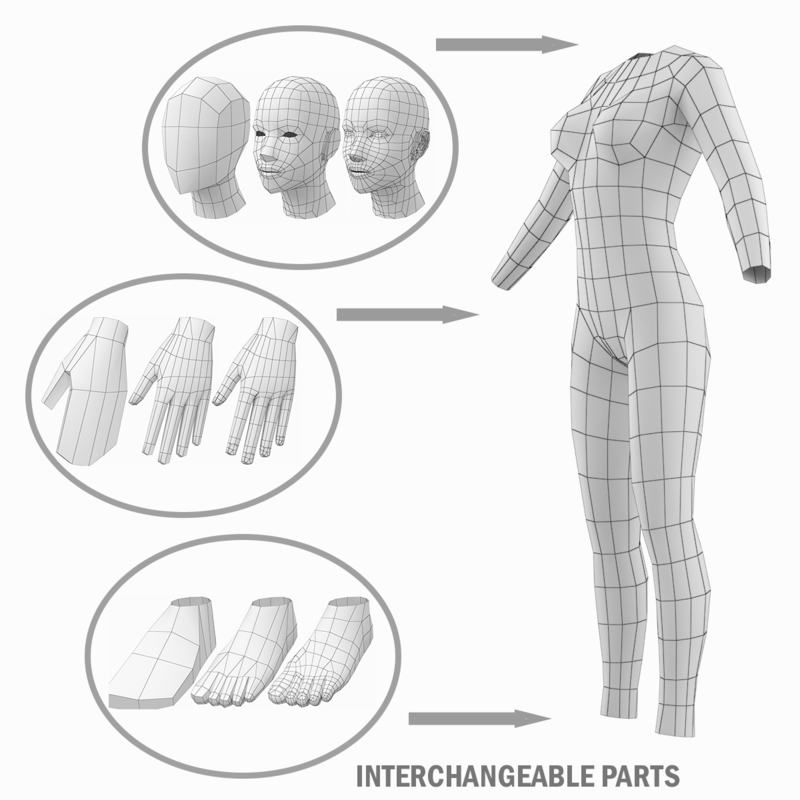 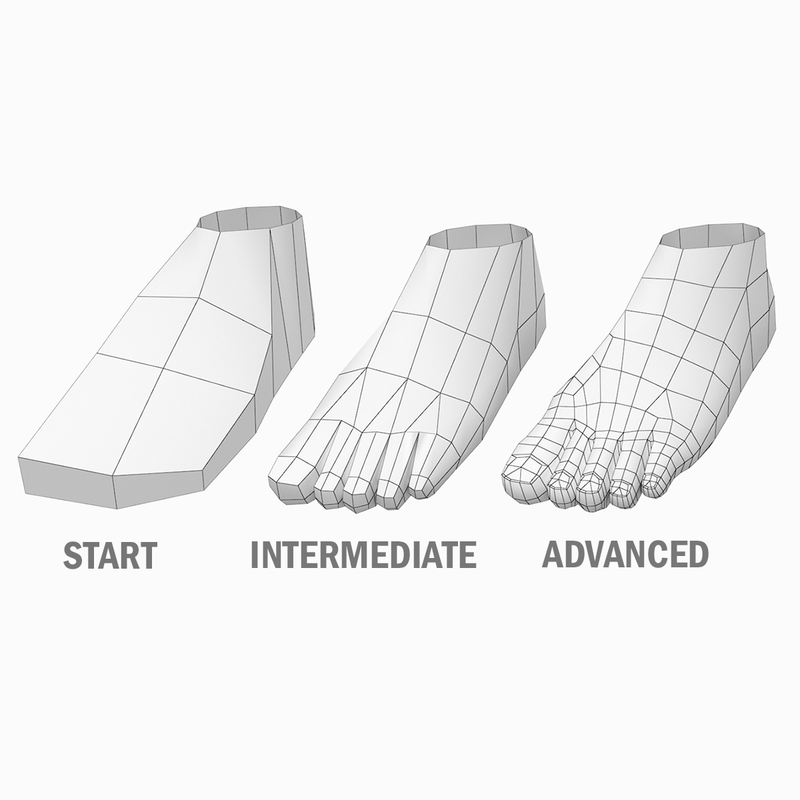 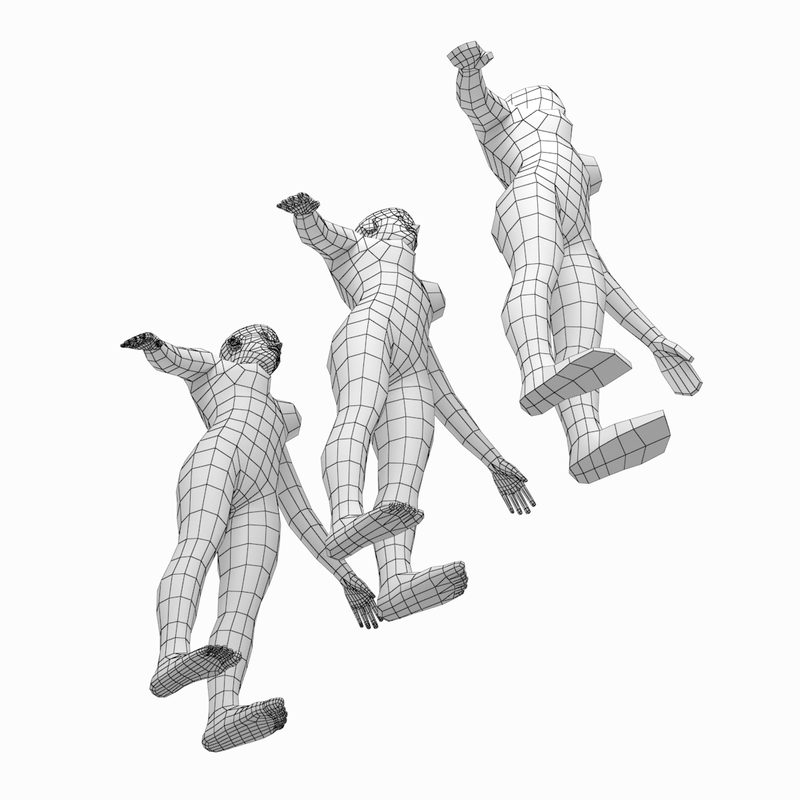 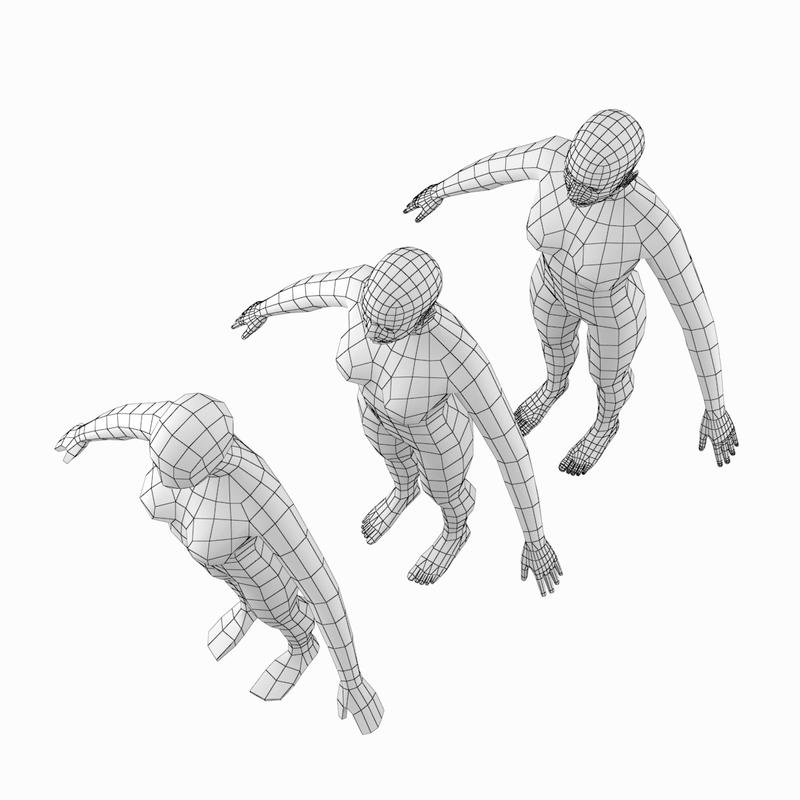 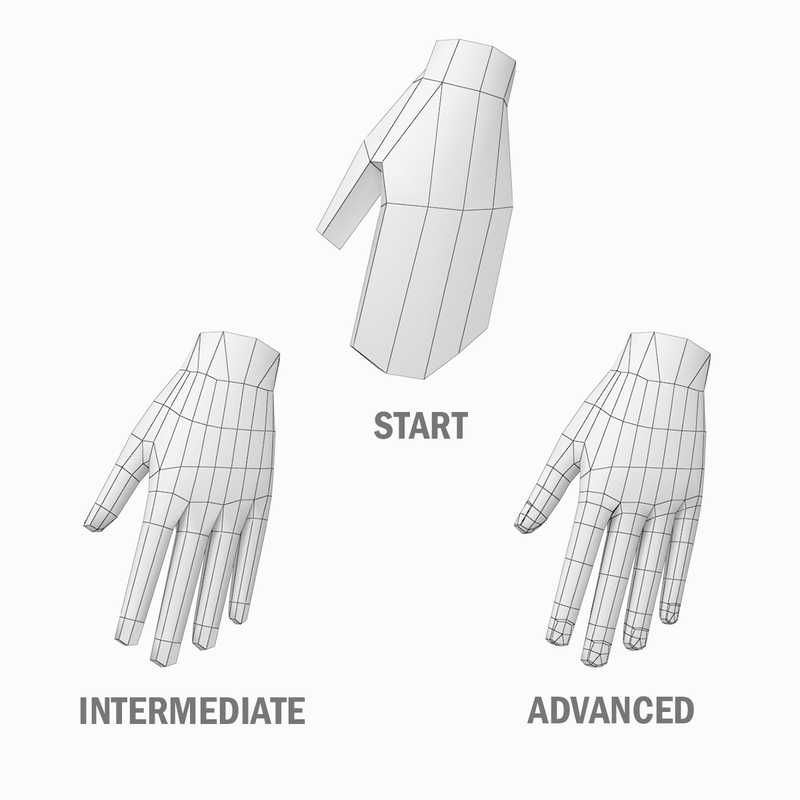 High quality accurate models of human female body with natural proportions in low-poly base mesh in A-pose. The photos and 3D scan of real woman were used to create the model. 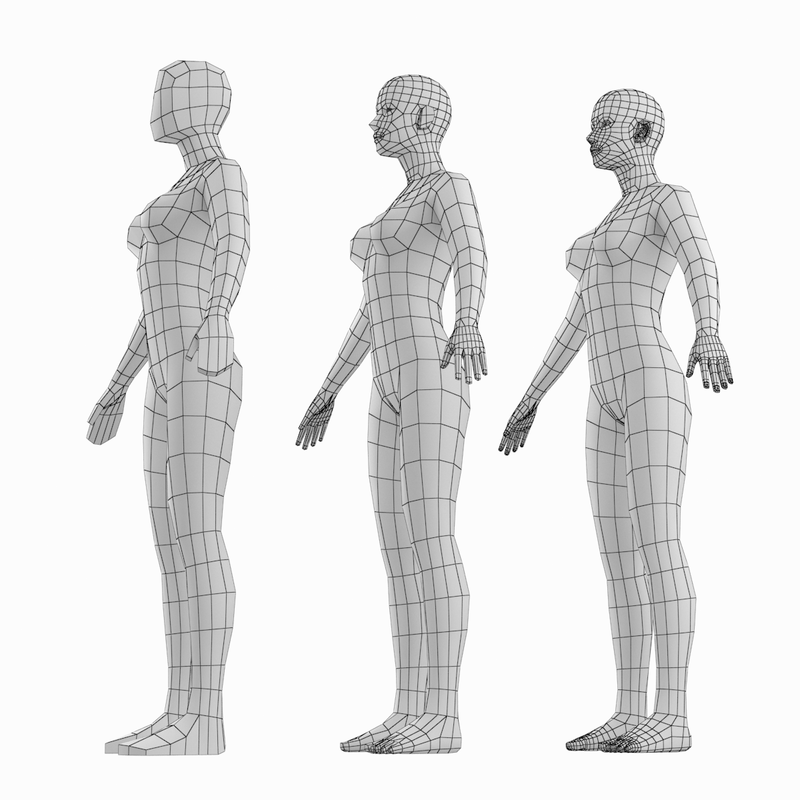 The body proportions are equal to measured natural human proportions adopted in art and design. 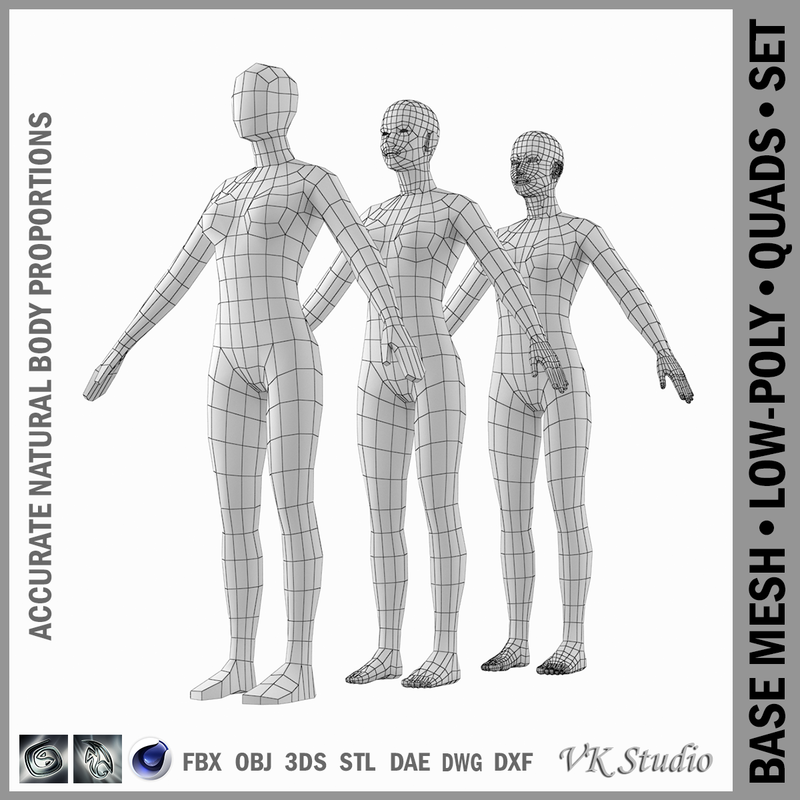 The model is good as a basis and 3D reference for modeling and sculpting adult female, humanoid, android bodies with natural proportions.